BEAUTIFUL CUSTOM BUILT HOME WITH MANY 1930&apos;S DETAILS STILL INTACT! RESPLENDENT WITH CHARM AND ELEGANCE OF YESTERDAY. BEAUTIFUL, DRAMATIC, SUNKEN LIVING ROOM WITH 12&apos; VAULTED CEILING, MAGNIFICENT, ROCOCO GAS FIREPLACE, ORIGINAL LIGHT FIXTURE, WALL SCONCES, FULL LENGTH WINDOWS. FORMAL DINING ROOM. UPDATED KITCHEN - GRANITE COUNTERS, CHERRY CABINETS, SS APPLIANCES, SEPARATE BREAKFAST ROOM. FIRST FLOOR BEDROOM. LOVELY STAIRCASE TO SPACIOUS, MASTER BEDROOM, AND TWO ADDITIONAL BEDROOMS. LOWER LEVEL FAMILY ROOM WITH WBFP, AND A WINE CELLAR. HARDWOOD FLOORS, ARCHED DOORWAYS, ORIGINAL BATHS, FANTASTIC ARCHITECTURAL DETAIL. WONDERFUL OUTDOOR SPACE, DOUBLE LOT, BRICK PATIO, LUSH GARDEN, 2 CAR BRICK GARAGE. ARCHITECTURALLY SIGNIFICANT, 1930&apos;S HOME BY RENOWNED ARCHITECT, MELVIN A. NELSON! GREAT PLACE TO COME HOME TO. 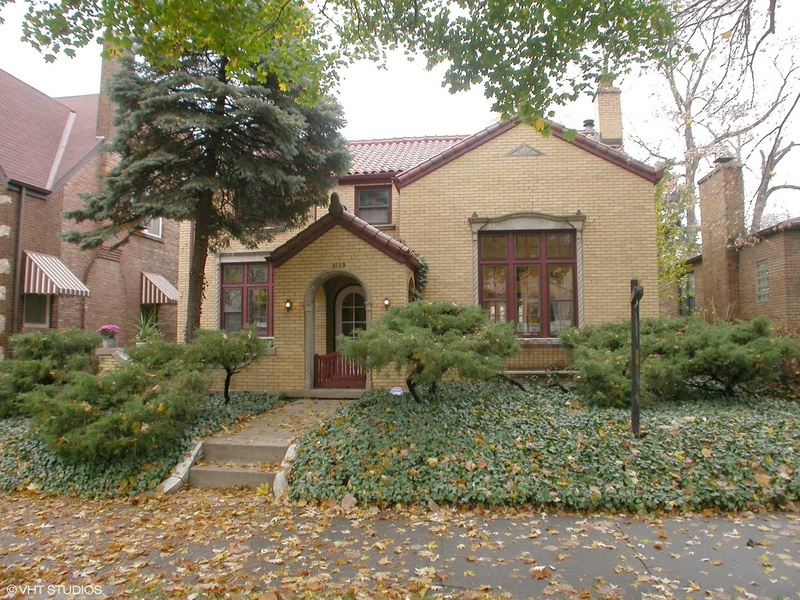 NEAR LINCOLN SQUARE, SHOPPING, PARKS, SCHOOLS, UNIVERSITY.